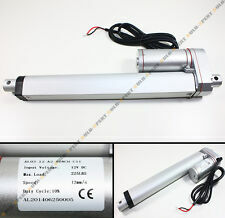 1PCS Mini Linear Actuator. 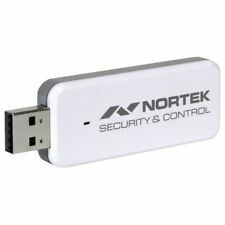 Speed: 10 mm/s （5V ）. Net weight: 30g. Speed: 1mm/s. USA, Canada, United Kingdom, Austrilia, France, Germany, Spain, Ireland, Italy, Others. Canada, United Kingdom, Austrilia, France, Germany, Spain, Ireland, Italy, Others. Tips: The product was updated on April 2th. With import CPC precision rails. 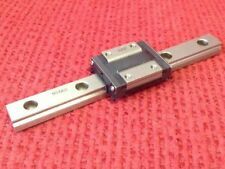 Track length 35mm. 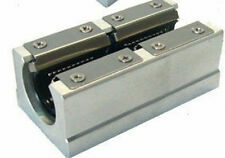 The Haydon micro linear stepper motor, electric putter, workmanship is very beautiful. 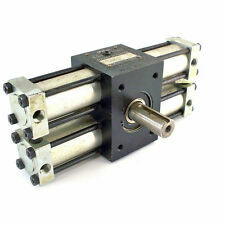 Motor set bipolar drive, ball bearing and light weight and so on. Winding Type: Bipolar Motor diameter: 15 MM Number of phases: two-phase four-wire Step angle: 18 ° Phase resistance: 19.5 ohms 6V short circuit current: 0.29 A Stroke: approx. 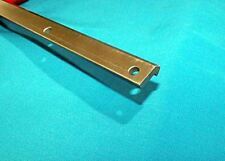 12 MM (300 pulses) Insulation resistance: 100 MΩ Stroke: 0.5 "(12.7mm) Maximum thrust: 0.7kg (7N). Surface electrophoresis process, not paint, durable than paint;. - The fixed-side insert, tighten the lock nut with a pad and hex fixing bolt to secure it. 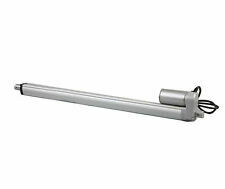 - Support side bearing snap ring fixed to the screw shaft and load support side support base.